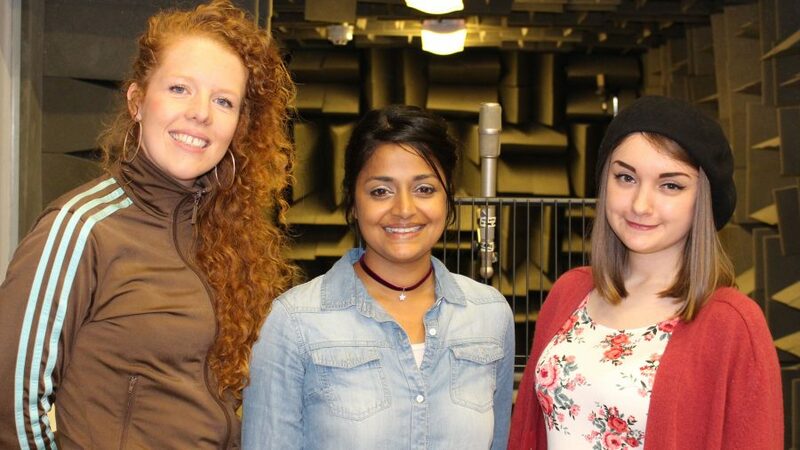 We are thrilled to announce the three writers selected to take part in Verb New Voices 4 as Laura Potts, Sarah Sayeed and Kirsty Taylor. The Verb New Voices scheme, now in its fourth year and a joint initiative between BBC Radio 3, New Writing North, The Writing Squad and Arvon, will support the winning writers to create an innovative new piece of work for broadcast on the Radio 3 show The Verb, as well as for live performance. Each of the participants will develop their ideas through a tailor-made package of expert mentoring and development support at BBC MediaCity in Salford. They will also have the opportunity to take a fully-funded residential writing course with Arvon. The writers will perform appear at Contains Strong Language, the BBC’s poetry festival in Hull, and record their work for The Verb at BBC Radio 3 Free Thinking Festival 2018 at Sage Gateshead. The writers will also receive a £2,000 bursary each to support their participation. Laura Potts, a 21-year old writer from Wakefield, was named a Foyle Young Poet in 2012 and 2013. Her collection of poems Sweet The Mourning Dew will examine the experiences of ordinary people living with loss in the north of England. Once a teenage carer herself, Laura will speak to others about their past and present experiences of grief in an aim to universalise loss. Sarah Sayeed from Manchester will develop a spoken word piece, ‘My Heroes Are Behind Me’, which looks at the lives of women who have been erased from the canon of history. Her piece will bring together the voices of different women who have been silenced throughout the ages. With a background in performance, Verb New Voices 4 offers Sarah Sayeed an opportunity to develop her burgeoning writing career. Kirsty Taylor, from Bradford, will develop a piece looking at children in the care system. Combining words, music, and found sound she will explore the many narratives the care system encompasses, drawing on her own experience of working in a children’s home. A drama teacher by day, Kirsty has previously been commissioned by Ilkley Literature Festival and has performed at Bradford Literature Festival. Congratulations to the three writers; we very much look forward to working with them!